Daryl Johnson (Worcester Park, United Kingdom) on 30 March 2007 in People & Portrait and Portfolio. 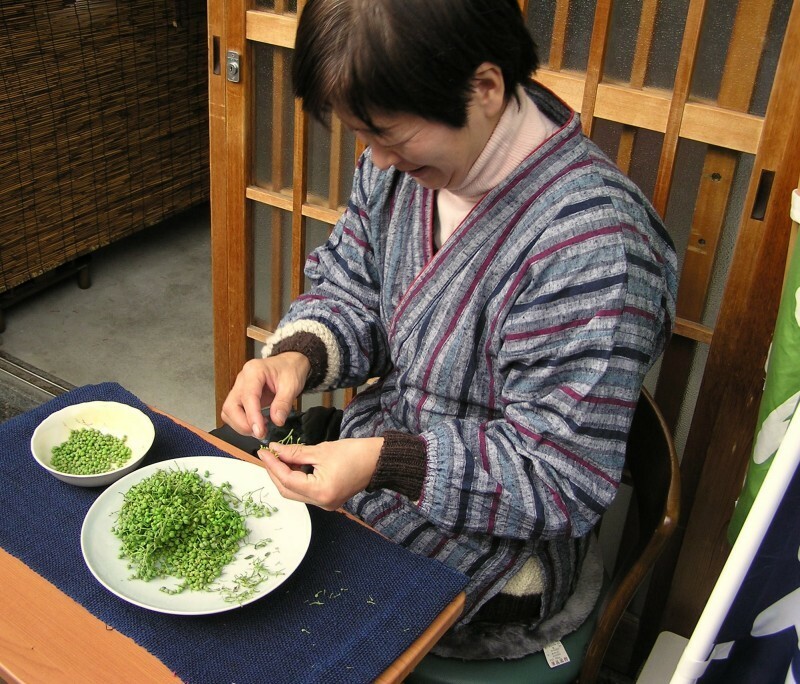 The green seeds this lady is picking are 'sansho', a very nice Japanese spice / condiment. @Dimitrios: She was quite happy to have her photo taken. Thanks Dimitrios! Looks like a fun job. Nice one! Very Japanese. I like sansho, and this series. @Makoto: I like sansho too Makoto. And thanks for the correction on the spelling! Thank you for the glimps into Japanese culture! A wonderful series!!! A great surprise! Mmm, I like sansho too, but I've never seen it fresh like this. So green! @Damon Schreiber: It's surprising isn't it? Cheers Damon! Very educational. I've been here over half my life and I had never heard of this. @Mike Cash: It's the green powder you often find in yakitori places, usually together with the spicy red shichimi, in 2 little glass jars Never had it? Goes very well with buta bara and kimo!